Melanzana was one of those places that we weren’t sure whether to go into or not. This was only because we thought it may just be a take away deli and we wanted somewhere that we could sit in and have hot drinks. 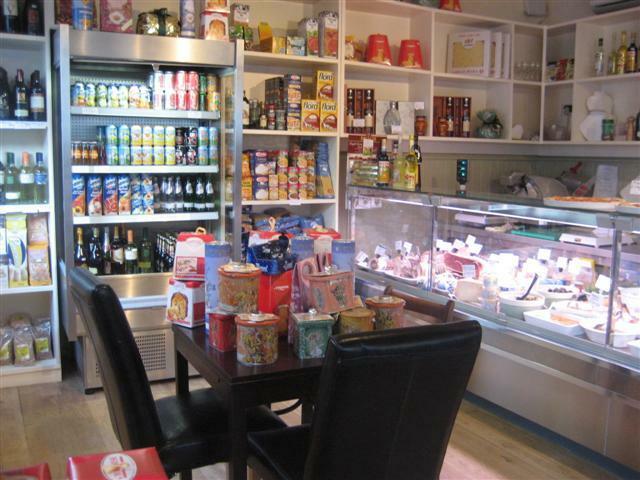 As soon as we entered, we were impressed with the colourful displays and the range of food in the deli. Little did we know that Melanzana was a restaurant as well. It’s a shame that some of the food was open on top of the counters. They had a range of breads, pastries, cold meats, olives and roasted vegetables. 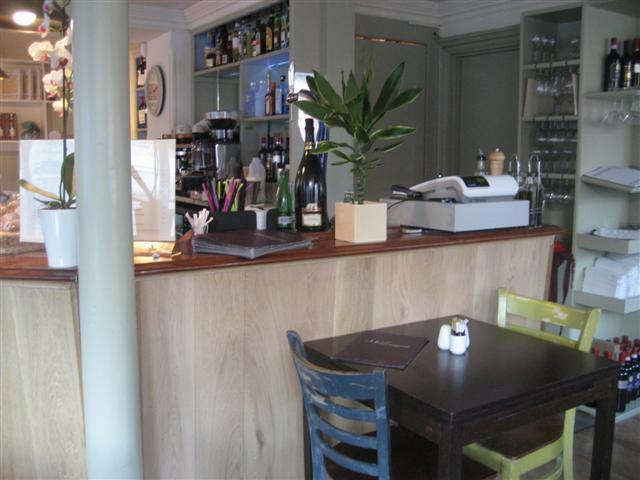 The staff were friendly and allowed us to sit anywhere that we liked in the dining area. One of the staff didn’t speak/understand English very well, so when we asked for a hot soya milk, she brought us a hot chocolate made with soya milk instead. The mango fruit tea was served by the cup not the pot. The foccacia bread was good and was topped with onions. It all tasted fresh and was a good portion. There was a lot of pizzas and pasta dishes being brought out to the other tables and they all looked delicious. If we are in the area again, then we will return to sample some of their hot dishes. 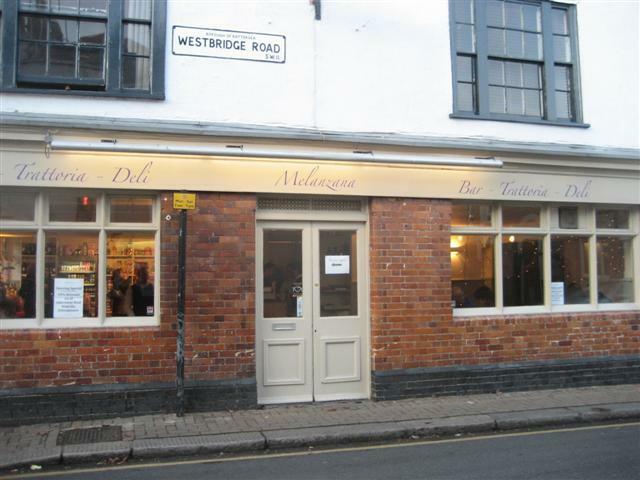 Melanzana is a little gem of a place in Battersea. It felt like it was run by a nice tight knit family group. All the food seemed to be fresh and looked like it was made on a regular basis on the premises.